Dr. Oz is under fire again, this time from a group of 10 physicians who wrote a letter to Columbia medical school reporting their dismay that he remains on faculty. Columbia came back with the expected “academic freedom” response, which is apparently a license to say and do anything. I understand that innovation can come from unpopular ideas so it is vital that academicians be able to explore all avenues of research. At one time the idea of a prion was laughable to many, yet through meticulous research Dr. Stanley B. Prusiner of UCSF was able to prove his theory and now we know that a misfolded protein can not only be an agent of disease, but can be contagious. Dr. Oz should, like all clinicians, have the academic freedom to do studies that are approved by IRBs, tinker in the lab with new ideas for cardiac devices, and write papers about his detoxing theories that his peers will review, however, that isn’t what we are talking about. The problem in the Land of Oz isn’t, as Columbia University suggests, academic freedom it is about ethics and conflicts of interest. 1) Giving incorrect medical information more than 50% of the time, because that is what Oz does on his show. If 50% of the medical information I gave patients were wrong I would very quickly be out of a job (and would be resigned to a life of concierge medicine and selling supplements). Academic freedom isn’t a license to commit malpractice, although Dr. Oz doesn’t have a physician-patient relationship with his followers. However, if giving bad medical advice on a national platform is ethical one wonders what passes for unethical these days. And if half of what Oz says on his show is wrong doesn’t the Dean wonder exactly what advice Oz is giving the patients he still sees? 2) Confusing hope with false hope. It is cruel to tell people something can work or is a weight-loss miracle all the while defending yourself as being the country’s medical “cheerleader” when you are really endorsing therapies that can’t possibly help anyone. I see people every single day who have wasted time and money on false hope treatments and diets that are “Oz approved” and it sickens me. That these therapies are endorsed by physician with the backing of an Ivy League medical school makes me want to scream. 3) Recommending dangerous products. 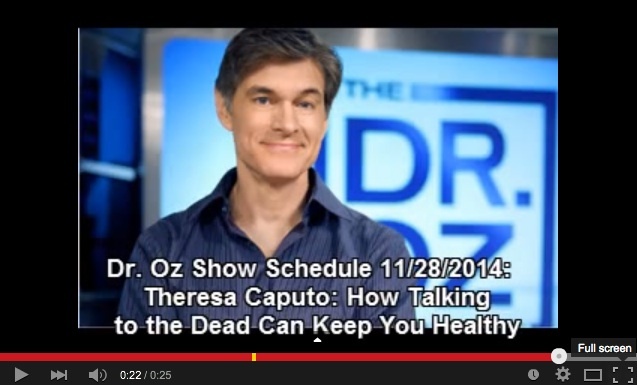 For example, after palling around with Joe Mercola Dr. Oz wondered if tanning beds might be ok with the right lights. There is no safe tanning bed, Ever. They cause skin cancer. But Joe Mercola loves tanning beds because he sells them (the sun not being as natural for you as the Mercola brand tanning bed). I was intrigued by Dr. Mercola’s claims on the therapeutic value of these specific UVB-emitting tanning beds (most tanning beds use only UVA rays, which can cause damage far below the surface of the skin). As a doctor, it is my natural inclination to evaluate and question emerging information in science and medicine. Because the internet is forever there are statements on just about every tanning salon web site saying that Dr. Oz is “rethinking” his view on tanning beds. What he should have done to Mercola was challenge him and say, “You are wrong and why would you say such a thing unless you want people to get skin cancer!” Did Oz not challenge Mercola because Mercola improves his ratings or because he has a brand partnership with him? That statement about tanning beds really can’t be undone. I wonder what the Chair of Dermatology at Columbia thinks about that episode? 4) Promoting psychics, because spending money to “communicate” with the dead is healthy! Does Columbia medical school teach that in 1st year or during the Clerkship and exactly who heads up that part of the curriculum? Professor Trelawney? Oz has called psychics the new therapists (wonder what the Chair of Psychiatry at Columbia thinks of that?) and reports hi$ life was changed by one. Lending a new level of “legitimacy” to the lost art of clairvoyance he brought one on the show to “scan” her brain to see what happens when she goes to the “other side.” Pro-tip, you can’t scan someone’s brain to see what happens when they go to the other side if you can’t prove she was actually at the other side. I guess charlatans love other charlatans. My big question is why didn’t Dr. Oz’s psychic predict the letter to Columbia so his response could have been ready in a more timely fashion? 5) Promoting unproven supplements. His web site is awash with supplements despite the evidence that many contain nothing but rice powder and some actually have potentially harmful ingredients. It’s not just that he talks about these things, he promotes them in giveaways and alludes to or even says things the company can’t. 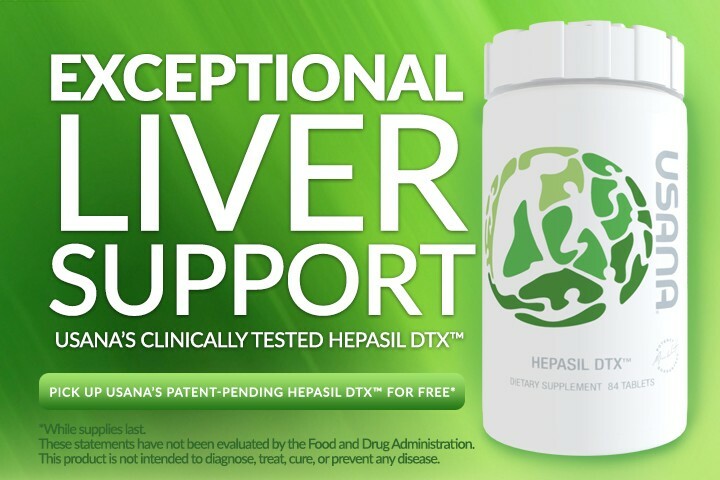 This is what HepasilDTX claims it can do: Exceptional liver support. This product is not intended to diagnose, treat, cure, or prevent any disease. Oh, the * takes you past the “flowery language” to a statement in small print that this product is not intended to diagnose. treat, cure, or prevent any disease. But if it’s not intended to do anything, why would Oz promote it? The FDA can tie the hands of companies that sell supplements when it comes to health claims, but they can’t gag doctors and so he can basically say anything. The ethics of this are beyond questionable. Basically, he allows companies that sell supplements to give the FDA a big middle finger. For a price of course. Even though products referenced by Dr. Oz consistently see significant boosts in sales; to date, Dr. Oz has not directly endorsed any companies or their products. Our goal is for Dr. Oz to forge a direct and authentic connection between you and your demographic. This alliance will ensure brand integrity, large scale awareness, and continued financial growth. Because forging a connection with a company to boost sales based on the illusion that Oz is recommending it when really he is just talking about it is the heart of academic freedom! And authentic! Most Universities limit how much money an academic can get from industry, and typically there is no distinction between Big Pharma and Big Placebo. The issue is twofold, A) it can compromise your academic integrity to be too enmeshed with industry and B) the Dean doesn’t want to miss out on the money you might be making on the side. As a consequence of academic-industry relationships, potential questions may arise regarding the intellectual independence of faculty who are involved with commercial enterprises. Even perceived conflicts of interest can undermine the credibility of academic and clinical functions. Interactions with industry should be conducted in such a manner as to avoid or minimize conflicts of interest. When real or potential conflicts arise, they must be promptly and appropriately addressed. Even “perceived conflicts of interest”?! That pertains to just about every episode of The Dr. Oz Show. Endorsements: Faculty and Researchers may not participate in commercial communications that appear to be marketing or promotional activities for specific products related to their professional activities or duties. This prohibition pertains to endorsements made in person, or through electronic or print media. Faculty and Researchers must maintain final control over and responsibility for all communications and materials, and must adhere to policies on use of University or commercial logos (described above). How does Dr. Oz endorse product after product and stay on faculty? The only two answers can be he gets an exemption because he’s Oz LLC in addition to a Professor of Surgery or Columbia is getting a piece of the pie in a healthy Dean’s tax. Columbia needs to be transparent about this, because it does cause one to wonder exactly how much of the Oz-Columbia dyad is supported by money. The uproar from health professionals about Dr. Oz is has nothing to do with academic freedom, it’s about false claims, bad information, ethics, and conflicts of interest. Academic freedom is meant to support thoughtful ideas and research, not charlatans and liver cleanses. Why does this guy still have a medical license anyway? Hey, I have to defend Professor Trelawney! Pretty obvious she made no money on outside endorsement deals. She never offered anyone liver cleansing weight loss potions. And she was right more often than a broken clock. It is time for us all to go after the quackery that is promoted in our home medical institutions and hospitals. The rise in quack CAM ‘treatments’ goes hand in hand with the drop in vaccination rates. FYI, if you are so concerned about people’s health then maybe you should know that the doctor who initiated that letter to the Columbia university, Dr. Miller, worked for Tobacco industry, even writing reports against the restriction to smoking. He also has ties to GMO industry. Another Doctor, actually served time in prison for Medicare fraud…This is what you wrote “Even “perceived conflicts of interest”?! That pertains to just about every episode of The Dr. Oz Show.” Interesting that you claim you have seen “every” episode of Dr.Oz, because then you would have known that Dr. always mentions to see your primary care physician before starting any of the regiments he talks about on that particular episode. You as an OBGYN do not know that light therapy is actually used, even to save babies? Have you heard of jaundice babies? FYI, Doctor was not arrested or even convicted for any crime. Green coffee bean pills researchers admitted to lying. Do you know if every medication you prescribe is safe? Who do you trust for it? Researchers who say they did the research and found it safe. How is this Dr.’s fault? He did his job and went to the hearing for the company that was manufacturing the pills. Dr. Oz does not take any money from these products. What do you think his motive then? By the way, that photo you have used on #4, totally bogus. He never claimed that. Someone else added that title to that photo, but in your rush to further smear the Dr. you did not even bother to check if this was correct. At the end of #5, you wrote “for a price of course”. Do you have any proof that Dr. takes/accepts money from these supplement companies? If not, you are the real liar! Dr. Oz helped many people. You would have known that if you actually bothered to watch at least a few of his episodes, such as the one he dedicated entire episodes to important subjects like colon and pelvic exams. All of this is happening because he is promoting labeling for GMOs, but you continue with your righteous indignation, if it makes you feel more knowledgeable.. Have a good day. Did you even read the post? Seriously. And yes, I provided a link in #6 which explains his strategic partnerships. You pay, he promotes. Have a read of the Wikileaks. He’s all about the money. I wrote about the credentials and conflicts of the letter writers here ttps://drjengunter.wordpress.com/2015/04/20/dr-oz-rattles-his-glass-operating-theater-as-he-comes-out-swinging-against-detractors/ so before you go hurling insulted why don;t you have a look. The letter writers have conflicts. Oz has conflicts. They are evenly matched in that regard.